A shower bucket is a very simple way to recycle water. When you turn on your shower it up takes a few minutes to get the water heated. All that cold water can be collected into a bucket. That can then be used for watering plants and washing your car. We’re talking gallons at a time. A rain barrel can be set up at the bottom of your rainspout. Every time it rains, the barrel will fill up. You can use that water all throughout your garden. You might even be enough to keep your lawn Junkscreen. The water you cook pasta in can also be recycled in your garden. Just put a pot under the calendar to collect all the drain off. You might even want to use a little back in your sauce to help the pasta from sticking. Just don’t water the plants until the pasta water has cooled off. You can also apply the same method when washing off your veggies. Don’t let that water go to waste. An unfinished cup of tea or glass of water should never be poured down the sink. Instead, they can go right into your houseplants. Once you start rethinking about how your water flows away you will get into these habits as you do with the rest of your recycling. When it comes to recycling big pieces like stacks of cardboard boxes, old furniture or e-waste, you can always count on Junk King Atlanta South to handle the job. These junk removal professionals don’t do the actual work but they will make sure that all your recyclables get to the right facility. 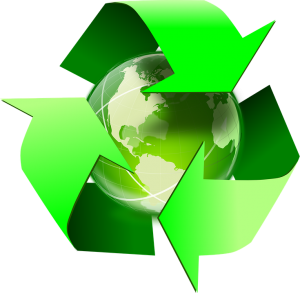 Boost your home recycling with a junk removal session from Junk King Atlanta South today. This entry was posted in Atlanta South Junk Removal and tagged junk King Atlanta South, recycle, water on August 27, 2017 by Junk King. Last updated August 27, 2017 .